Arrival at Chandigarh and shall transfer to the hotel, overnight stay at Chandigarh. 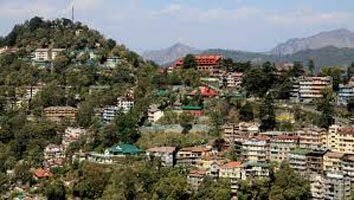 After breakfast we shall start for Shimla, Overnight stay at Shimla. 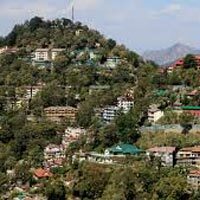 The Mall Shimla, Kalibari Temple Shimla, Shimla State Museum, Summer Hill, Jakhu Hills, Sankat Mochan and local shopping at Shimla. After Breakfast shall leave for the Rohtang Pass up to the snow line area and by the evening shall back to Manali for the overnight stay. Please not here you have to board your own cab because there is a Union. Activities at Rohtang: - Skiing, Playing in the Snow, a hot cup of tea again and again enjoy the public playing snow at Rohtang. After Breakfast shall depart for Dharamshala, overnight stay at Mc Leod Ganj. After Breakfast shall depart for the sidh piths of Himachal Pradesh, Brajeshwari Temple in Kangra, Chamunda Devi Temple in Kangra and Jawala Jee Temple and then back to Mc Leod Ganj for the overnight stay. After Breakfast we shall leave for Dalhousie, Overnight stay at Dalhousie. After breakfast we shall leave for Pathankot/ Chakki Bank Railway Station for dropping please for the onwards journey to way back home to Mumbai.